A new Fear Effect game will soon be launching via Kickstarter to raise the funds to help a new version of the game go into production. But this time it will not be a big development studio developing and publishing the game as with the PlayStation 1 games it will be the small French indie studio called Sushee. Square Enix have provided Sushee with the authorisation to proceed with the game, after the French game studio worked with Square Enix’s The Collective two years ago on the adventure game, Goetia. Sushee has released a taster providing a little taste of what you can expect from the new Fear Effect game, check it out below. The Kickstarter campaign is set to be launch next week on Tuesday, April 12th and Sushee is looking to raise just €100,000 to take the game into production. 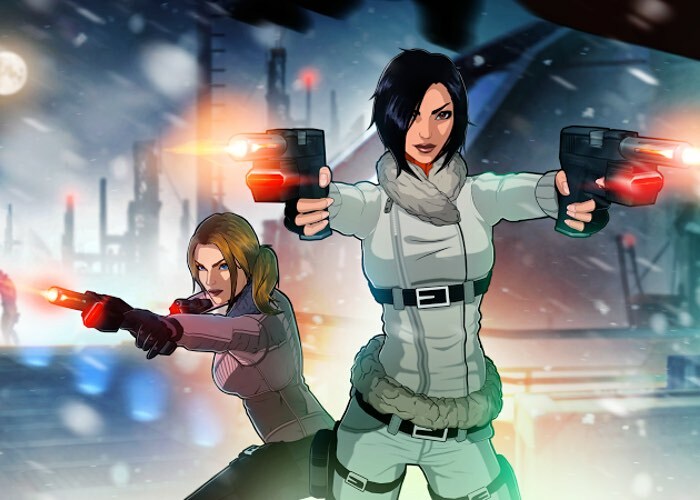 Sushee founder Benjamin Anseaume explained to the Eurogamer gaming website team that Fear Effect fans should expect a very different game than the Kronos-developed, Eidos-published original. So players have to expect major changes both in terms of the gameplay and the visuals. – We are a small team of 10 people. We are not Kronos. We are an indie team. We want to make something that respects the series, but it’s not going to be Fear Effect 3. It’s going to be a new Fear Effect with new gameplay. – We want to respect the story and the characters. It was difficult for us to create something based on something we didn’t create ourselves. So we realised we needed help from the former team. As more information is released when the Kickstarter campaign launches next week we will keep you updated as always.